Oh this is good news! 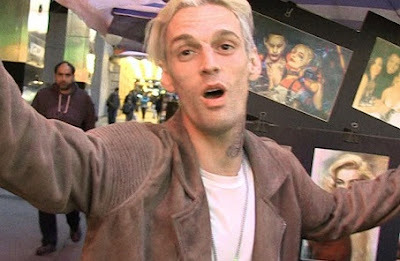 Aaron Carter is finally giving in and checking into rehab! This is coming the day after police rushed to his home to do a welfare check. TMZ broke the story ... cops in Florida responded when someone reported Aaron seemed high on something during a FaceTime conversation. Aaron's rep now says , "Aaron has decided to enter a facility to improve his health and work on his overall wellness. He is going to do this privately and focus all his attention on being the best person and performer possible," adding Aaron's grateful for the support and love from his fans. It's said Aaron went back and forth for a while, but finally agreed to get help.